Monday-Thursday, June 17-20, 2019, 9am - 12 noon. VBS Mission: VBS at SPC exists to give K-5th grade students an opportunity to meet Jesus and grow in their understanding of a relationship with Him through fun activities that focus on Scripture, Community and Leadership Development. With that in mind, please join us this week for a fun-filled, gospel-packed Super Heroes Week - where we will discover the heart of a Super Hero! All participants are encouraged to bring a friend! We have a capacity for 200 children. To register your child, visit VBS 2019 Child Registration. Children completed Kindergarten through 5th grade completed (by end of 2018-2019 school year) may participate. and added emphasis on service and leadership development. All t-shirts (optional) must be pre-ordered and payment made online for $10 each at the time of registration. you must SIGN OUT before registering your children. Got a registration question? Email our Registration Team at vbsreg@southwood.org. To volunteer, visit VBS 2019 Volunteer Registration. Volunteers will receive a free VBS t-shirt! To donate snacks for our volunteers, email vbssnacks@southwood.org. Got a general question? 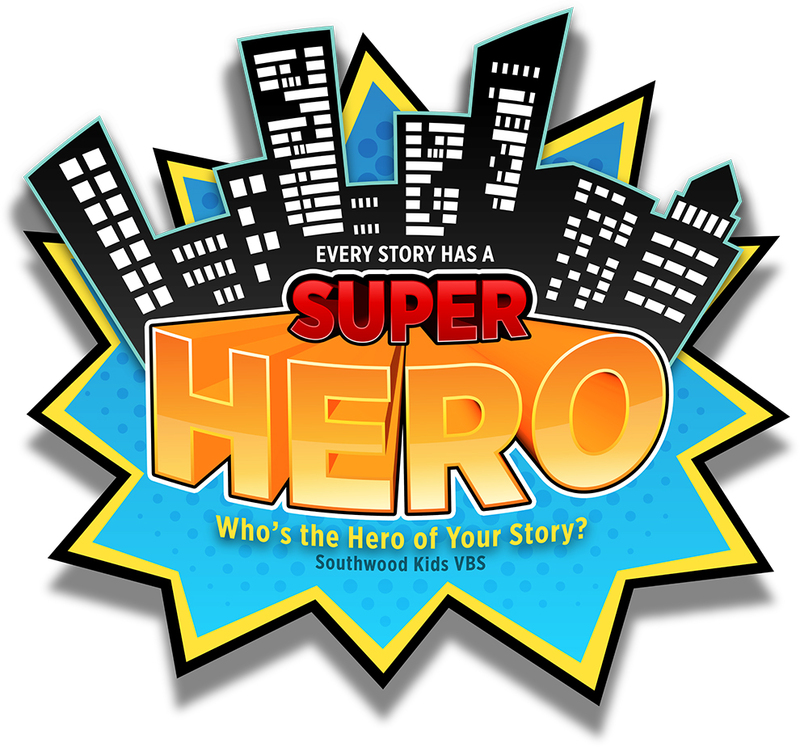 Just email our directors at vbs@southwood.org.